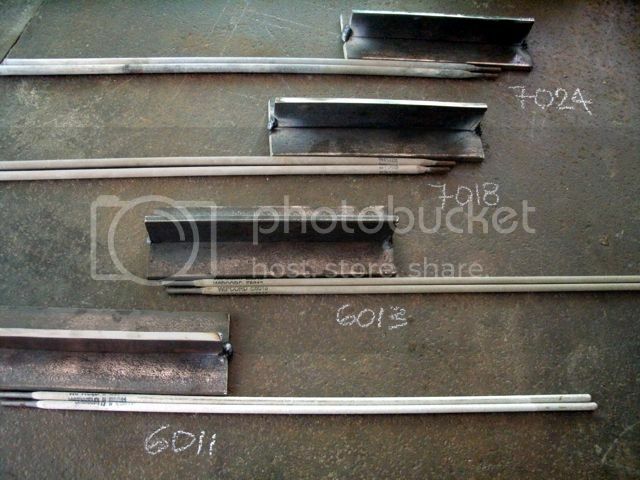 I will be using different welding electrodes for each T-JOINT for these first set and will also use different ampere settings. I will start with 120 amps and then crank it up to 140 amps, using the YAMATO DC Inverter. 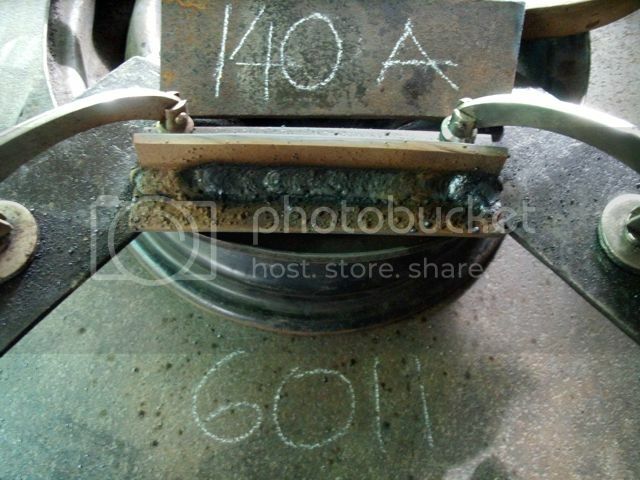 I will start with E6011 rods. 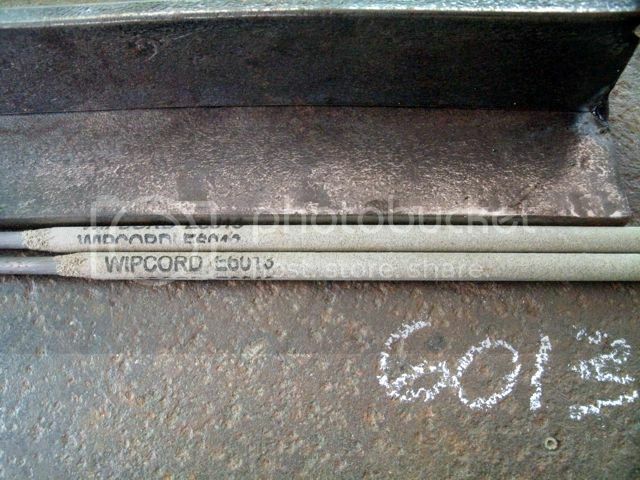 Then followed with E7018 rods. 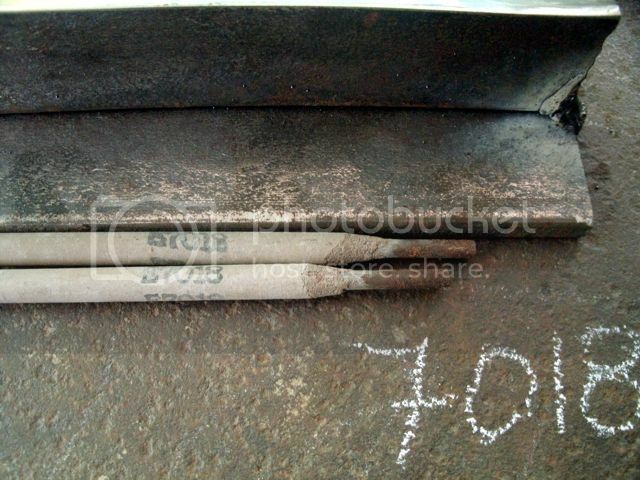 And lastly the E7024 rods. Well did alright for this exercise but not really that satisfied. 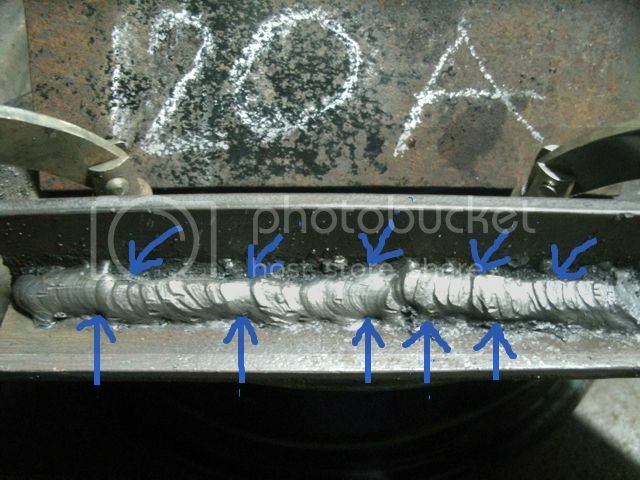 Just used the side to side manipulation on the weld application. Grabe ang spatters and slugs !! 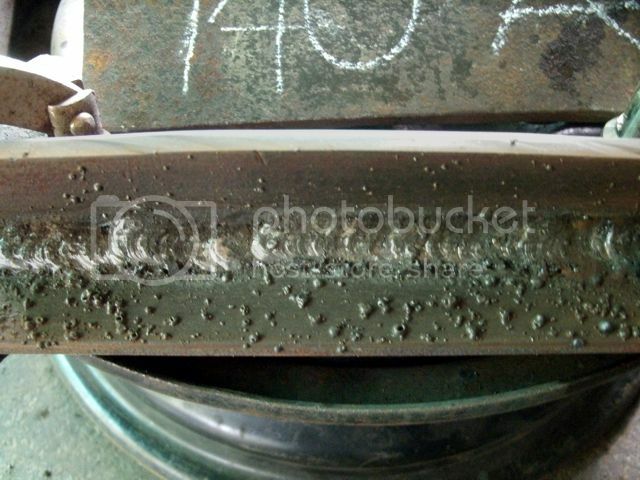 Just look at those weld spatters, they are every where. A close up of the weld application, I tried a small circular movement of the rod but still can't seem to get a uniform weld puddle. 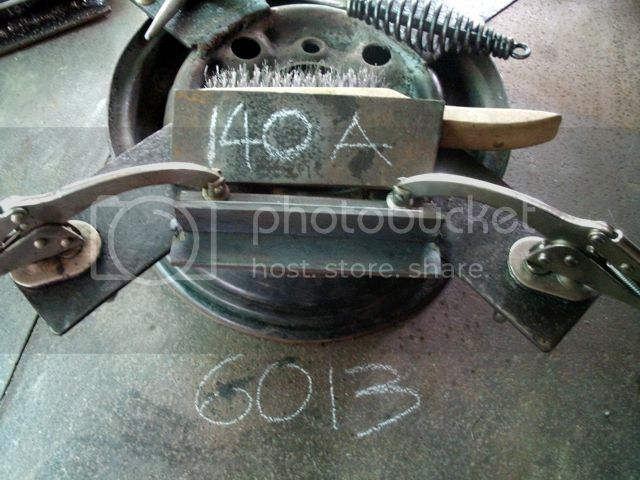 I guess that is one characteristic of a 6011 since its usually used for root passes. 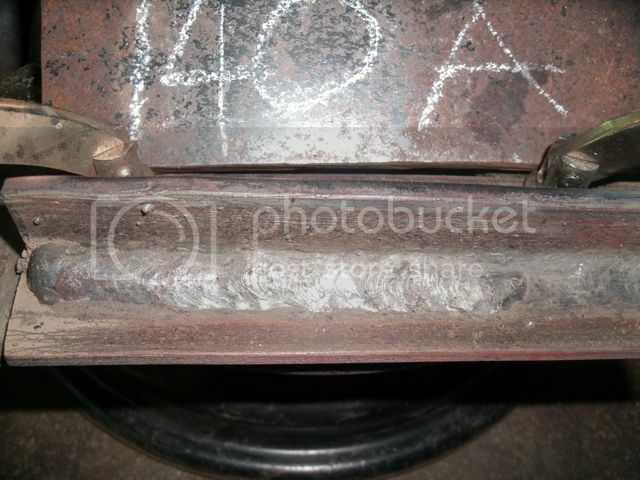 When I finished and saw this weld application, I know something was not right with this one. 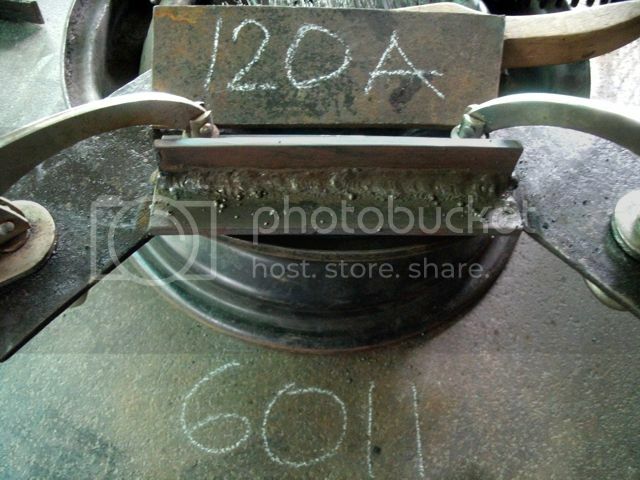 There were sort of "worm holes" at the start of the weld and the end was not even properly finished. 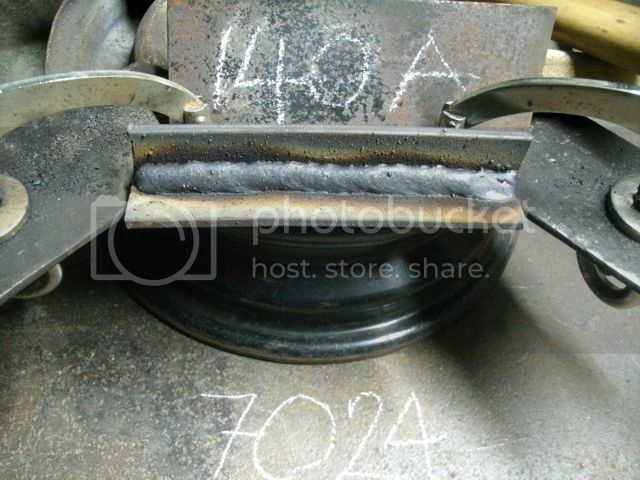 And I was right, the start and the end were not good at all plus the weld manipulation were not evenly uniformed though I just used a small side to side motion to control my travel speed. Using 140 amps on the other side of the exercise T-JOINT. Well again still so doubtful of this application, the slag covering still looks very uneven. 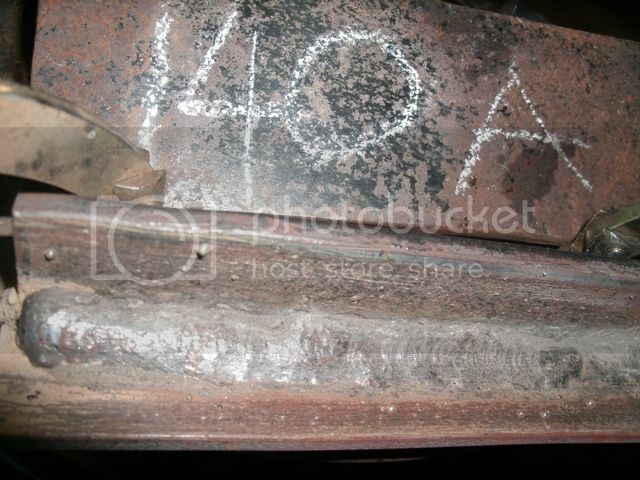 There, you can see the defective weld applications, again from the starting weld and the ending weld puddle. Undercuts are very evident though the slags when removed would come off easily. 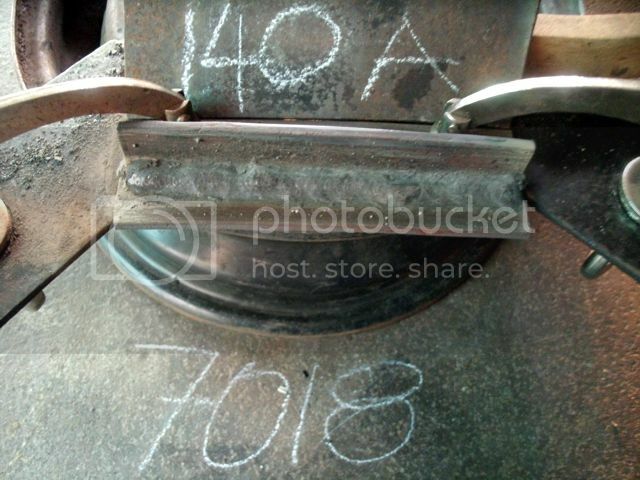 TO BE CONTINUED LATER, photobucket has jumbled up my uploaded photo sequence. Last edited by rosy; 06-07-2013, 08:13 PM. 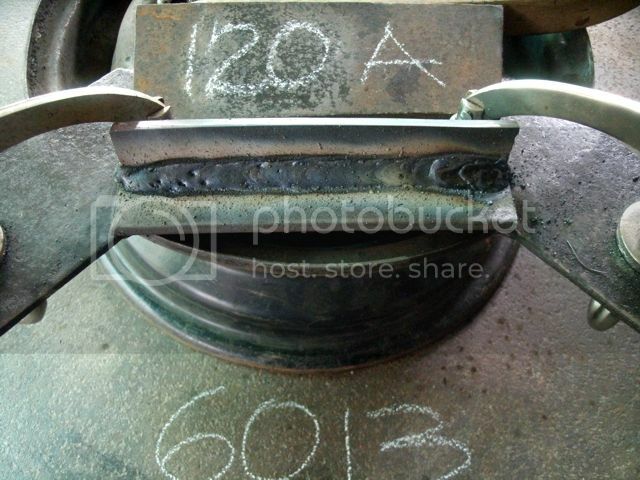 Here is the first weld application for the 7018 rods at 120 amps. Have to control electrode holder with two hands to maintain the side to side motion and to maintain travel speed as well. 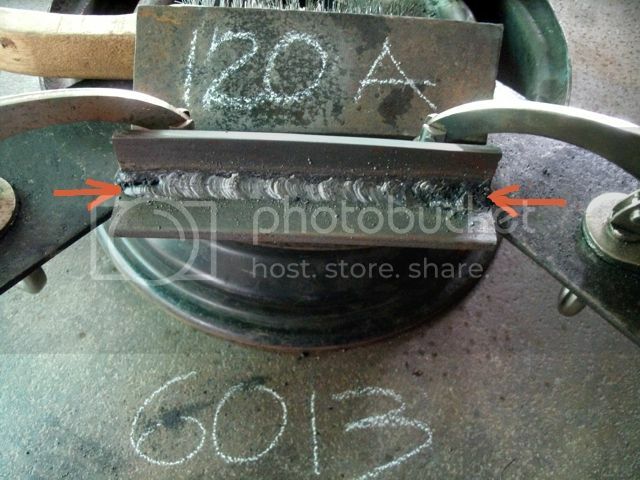 But it seems I cannot produce a consistent looking decent weld bead even though the arc distance and the travel speed is very much controlled. Last edited by rosy; 06-08-2013, 01:03 PM. 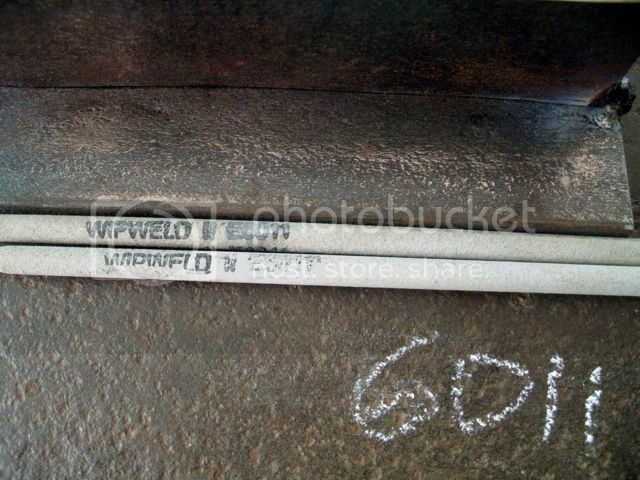 salamat sa mga welding info mo sir rosy....ano size ng welding rods gamit mo? pareparehas ba for all rods? nahihirapan din ako sa 6011 sa arc starting at arc maintenance unlike sa 6013. 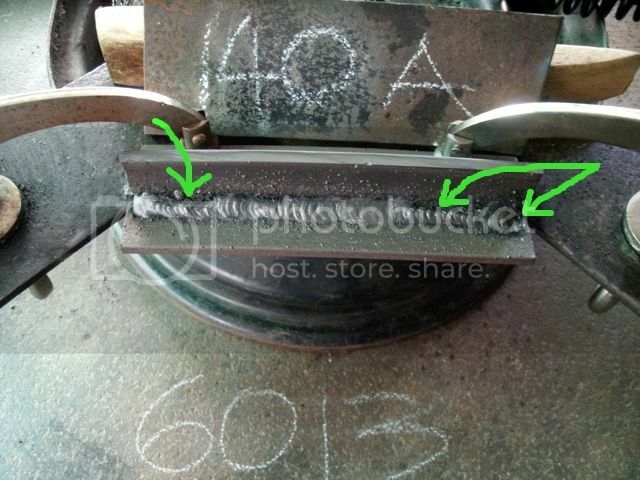 1/8 6011 welding rod ang pinagpapraktisan ko ngayon. 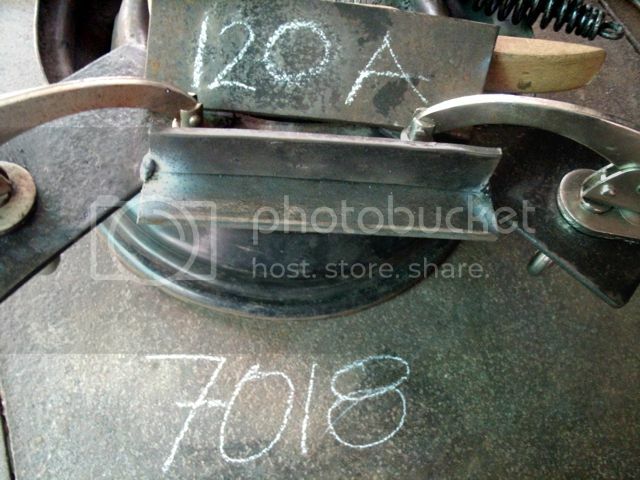 saka na siguro mga 7018 at 7024. 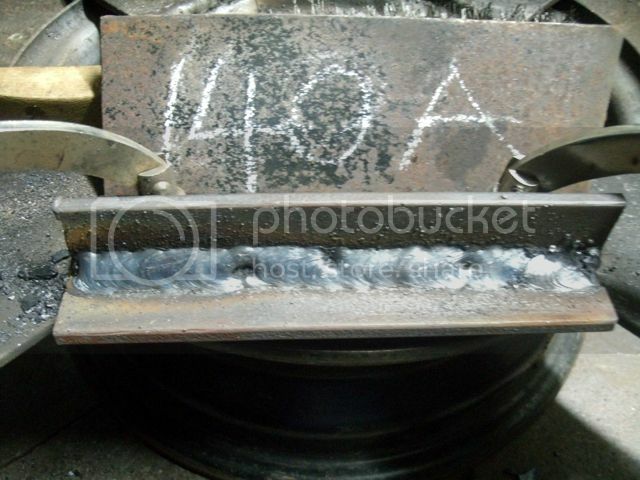 With the 140 amps setting, it seems weld application is better. 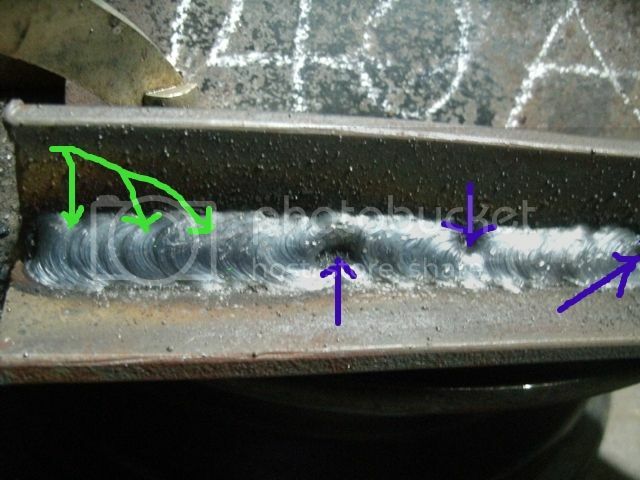 During application, I still have to hold the stinger with both hands to totally have a steady hand and full control of the weld puddle, the circular motion, travel speed and distance but still can't produce a nice looking weld beads. Have to watch also that I keep or continue the rod tip from delivering continuous weld puddle or else I will have a hard time striking anew the rod to produce an arc. 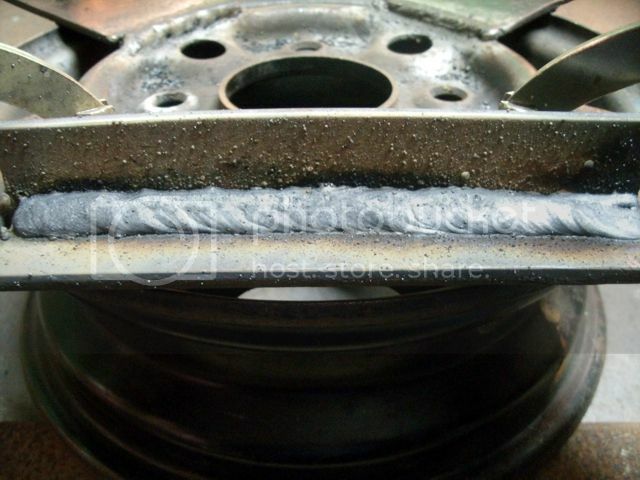 I guess this rod is much better with using an AC welder. 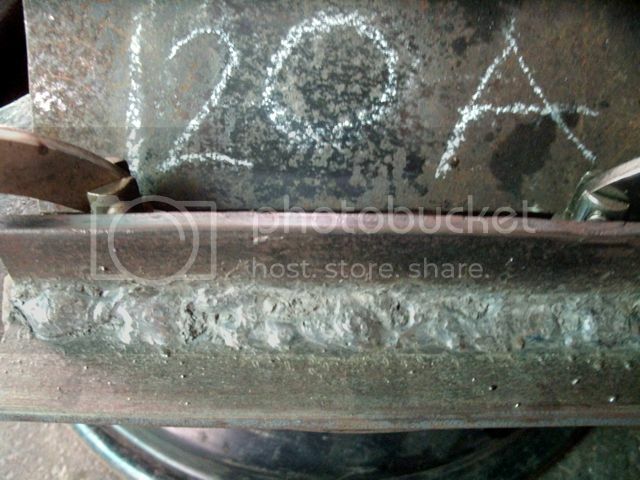 Though this rod is known as a "drag rod", I still decided to use some weld manipulation or weaving during applications but from research, the use of 120 amps for this type of rod is still going to be cold. Any way I just continued with the exercise to find out what the result will be. This weld application looks so cool and promising, the slag seems to be uniform and I used a circular motion for this one. 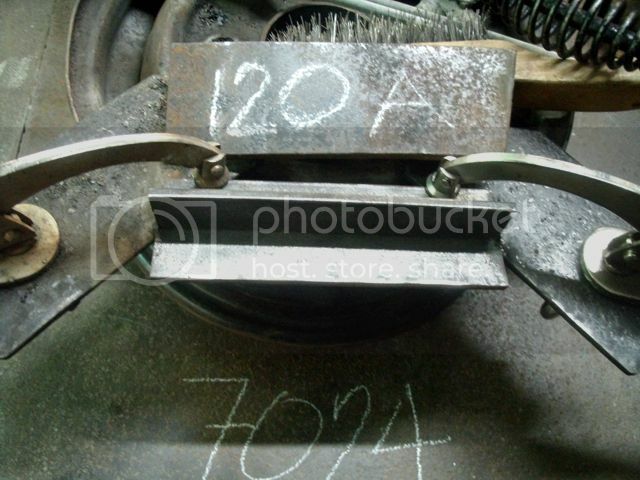 Even though its only 120 amps, the rods would immediately fire up and produce an arc on the first strike. 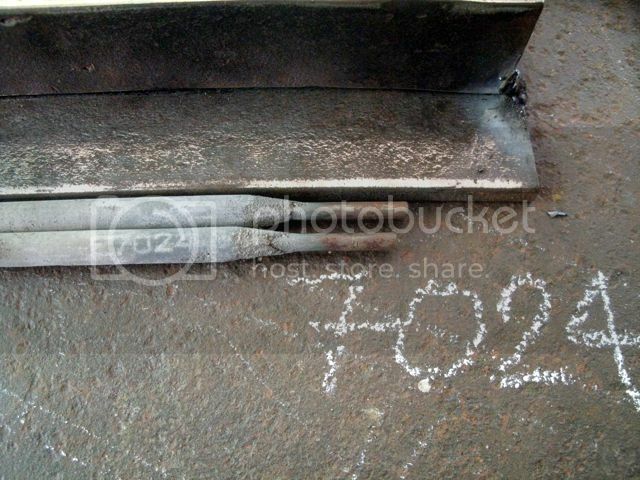 Plus this rod produces less spatter compared to the E6011 and the E7018 welding rods. 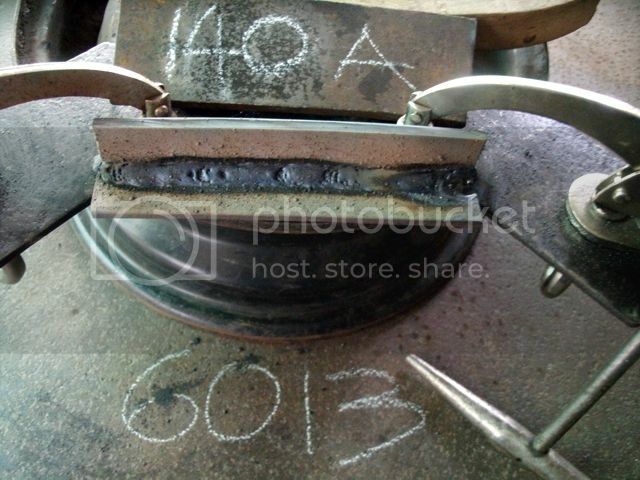 WOW, look at that weld, its full of undercuts, above and under the toes, the overall weld puddles are not uniformed or consistent. Undercuts and some worm holes indicated by several arrows. 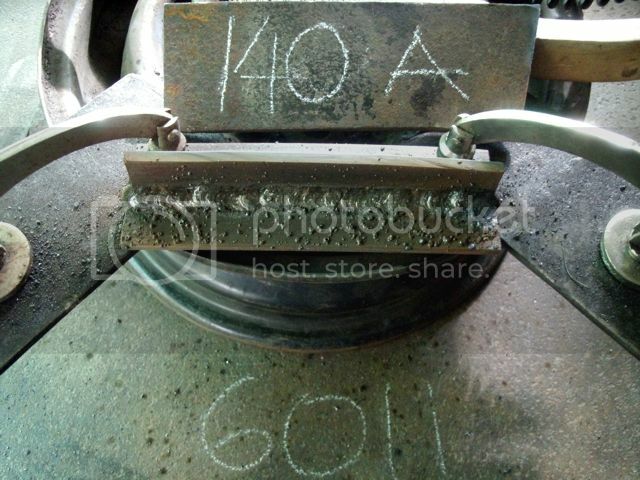 I presume this setting of 140 amps will be a bit better coz again from some readings this rod works well with 160 amps. Well this one looks a bit better, looks more solid and consistent. On the first strike, it immediately produced an arc. 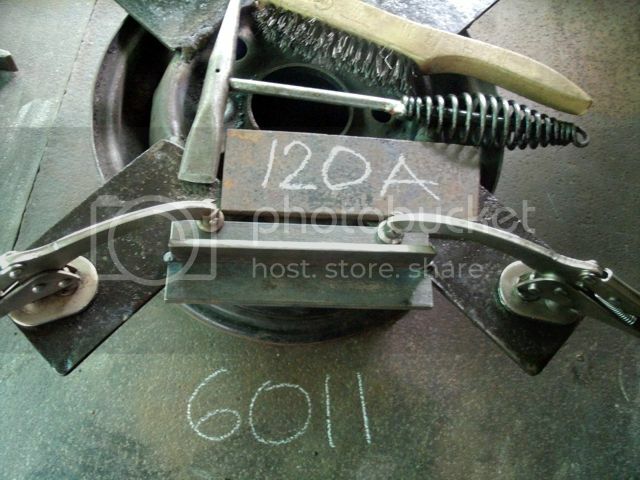 Again I used a larger circular motion during weld application. Well that's more like it except for some worm holes here and there, but the initial welds looks so promising, Very nice weld ripples. 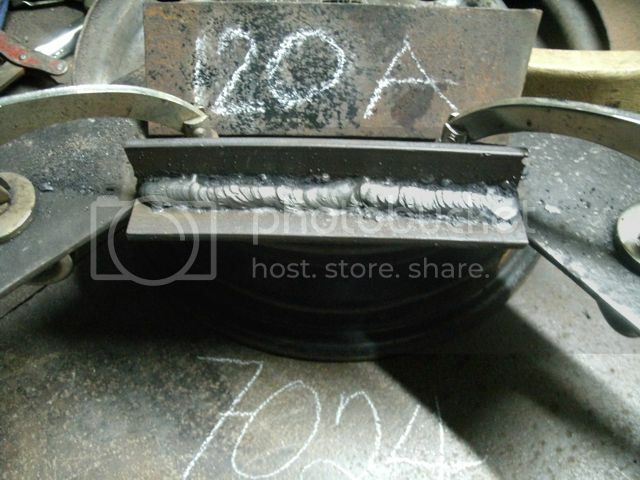 Here is a close up of that weld application. The violet arrows indicates the worm holes and the green arrows showing what I intend to achieve. I will have to do another set of this T-JOINT exercises and perhaps increasing some ampere settings for other welding electrodes. 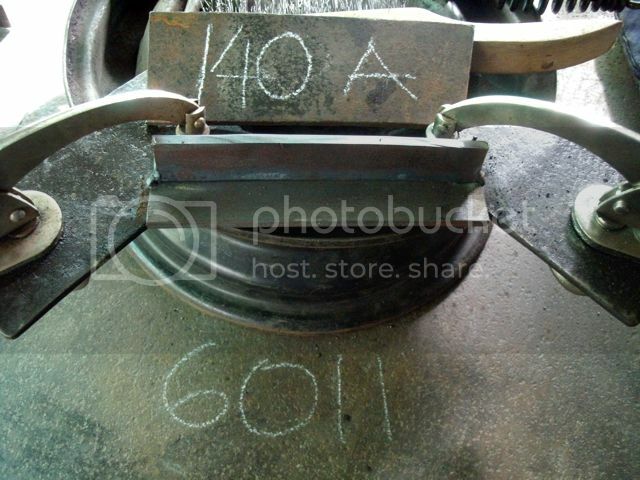 I will also do this by using my AC welder and see what will be the difference between the DC and the AC results. 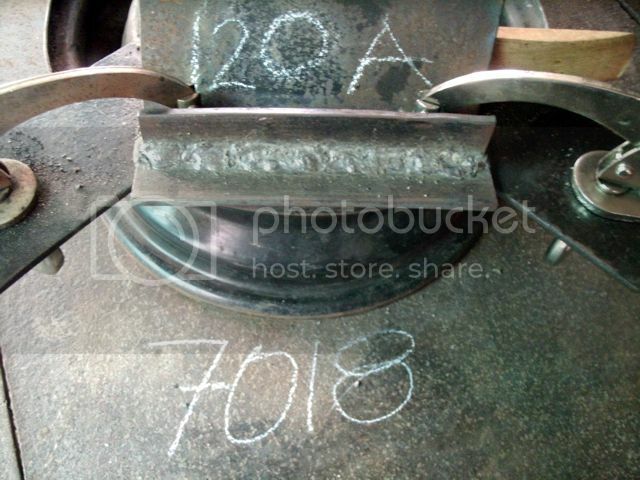 I won't stop until I get this all right and produce decent fillet welds on the T-JOINTS. 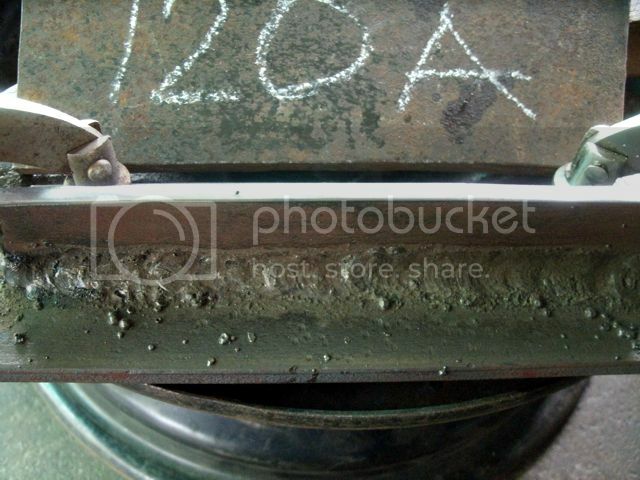 I am only using the 1/8" electrodes bro miked for all. 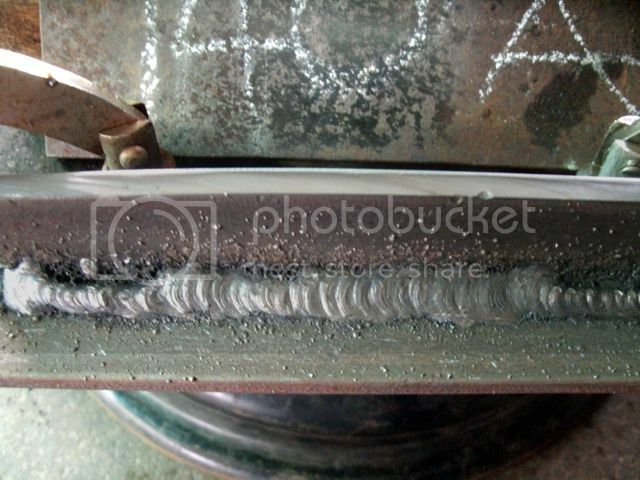 With regards to the E6011, from research and more readings, this type of rod really does not give a good weld beads since it is mostly used for root passes then will just be covered by another weld application like the E7018, and again this will be capped with another application for a better looking welds like the E7024 . 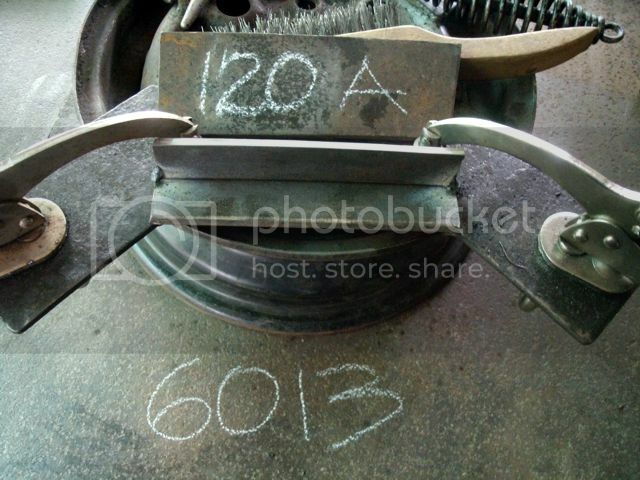 If you are practicing with the 6013 or the 6011 rods, try increasing the amperage setting to keep the rod hot, that is on thicker metals ,1/8" to 3/16" and going up. Simply stick first to the flat position para masanay ka muna !!! Again good luck bro miked. Discussing two techniques, the Whip and Pause( push and pull ) and Circular Motion technique. 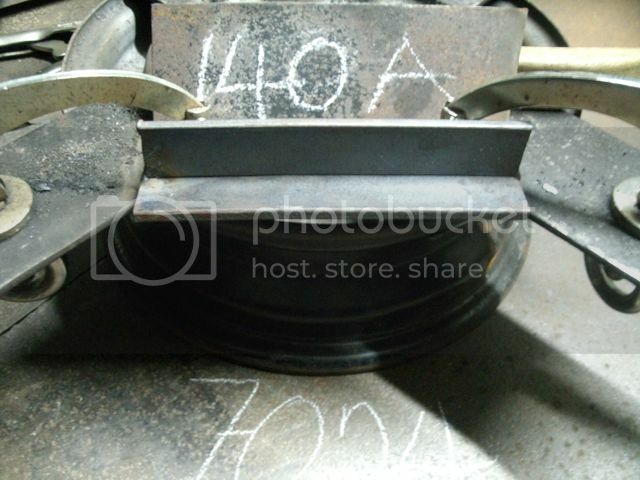 Discussing how to start an arc properly to avoid undercuts and worm holes. 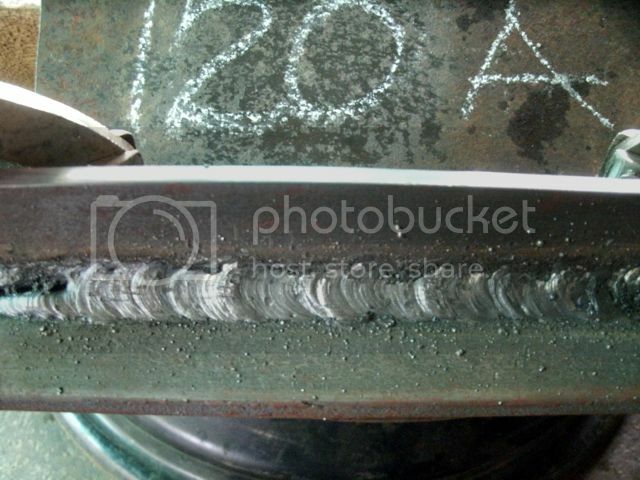 Well bro bugel, I really hope I am doing it right, just need more practice to get it right and same with other type of rods mentioned and their application. 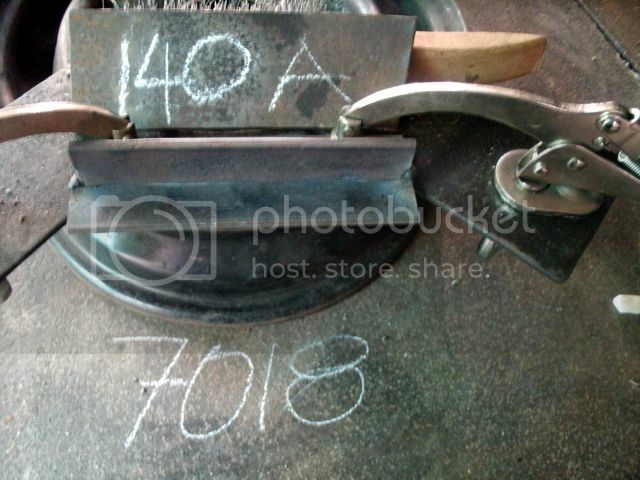 Actually I have prepared more practice plates and have tacked them all and will be continuing more fillet weld applications using the DC and the AC weld machines.